As you make your reservations, you may want to consider an appointment for a full body massage or possibly a flower arrangement and gift basket for that special person of yours. 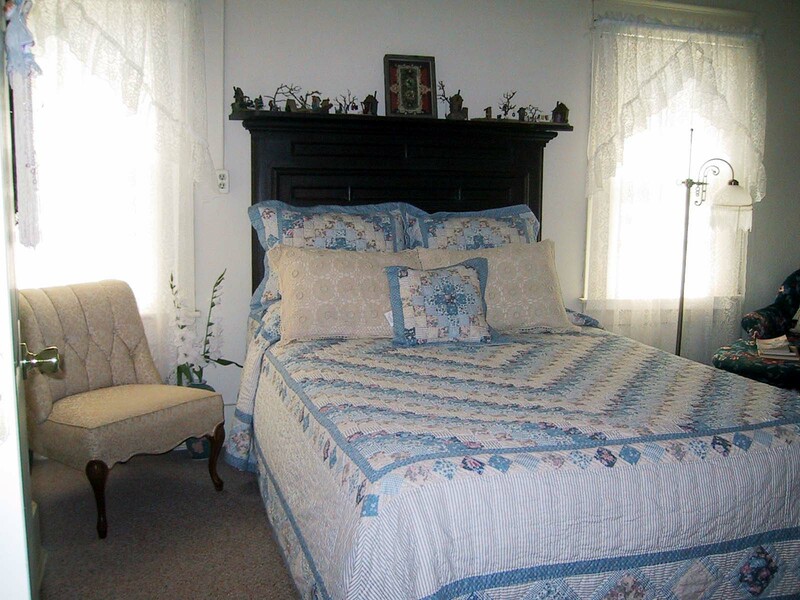 Our bedrooms cater to adults in a romantically quaint setting. They are located in the old Caylor Bathhouse; as mentioned earlier, this old bathhouse dates back to the 20's and had one of the largest artesian wells in town. Now, as an historic inn, it houses seven thoughtfully appointed, antique-filled rooms to help take guest back in time. Each of the rooms date to the 1920's, has a queen bed, a bath en suite, WiFi and is free of television and phone: only the lazy tic-toc of the wind-up clock intrudes upon the restful soul. Down the hall awaits the massage room ready to soothe the body and spirit. Downstairs, guests have access to the parlor, dining and spa areas. Games, musical instruments, some antique noise boxes and a large capacity table (seats 14) make for a warm and fun gathering area. But the outside pavilion is our favorite on a summer evening, with a cool breeze and good friends. 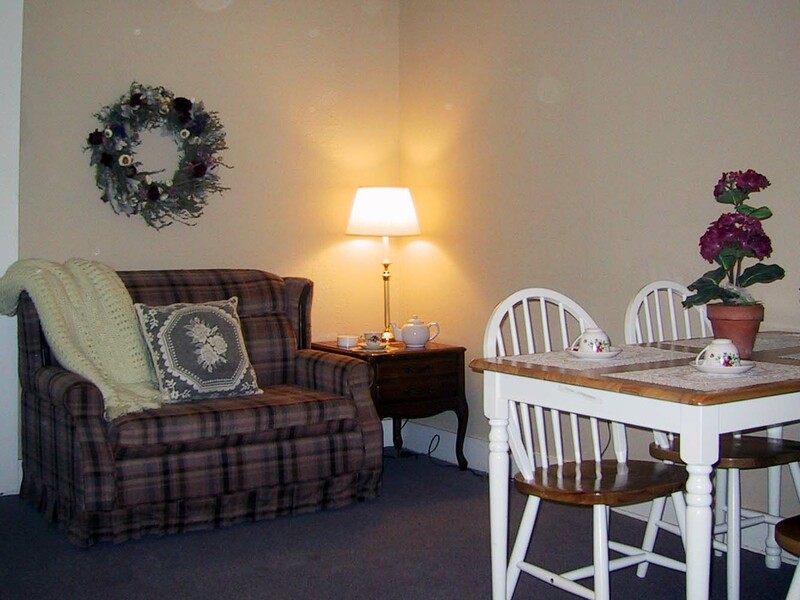 Our cottage suites are ideal for growing families and are located adjacent to the old bathhouse. Like the bathhouse, they provide front door access to our beautiful park. 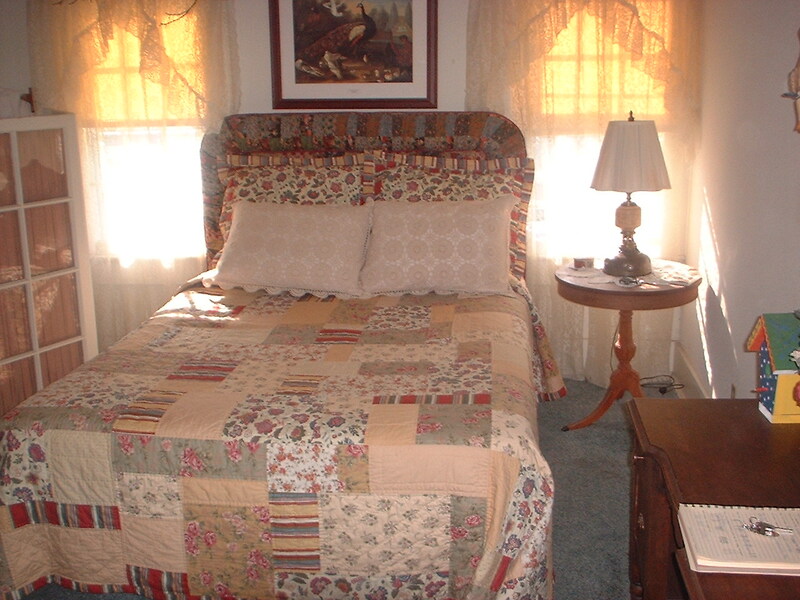 Each suite is tastefully decorated, and sleeps up to five guest. Each has a kitchenette that includes coffeemaker, toaster, waffle iron, crock pot, microwave and refrigerator. All suites have cable TV and two of the suites have a propane grill out the back door. One standard rate, that is to say all rooms are priced the same but for periodic discounts through our internet specials. But wait, there is more! Included in the room rate is breakfast, snacks, bicycles and good conversation. For added value, massages and canoes are available for a nominal fee. Be sure to check out our monthly SPECIAL! !